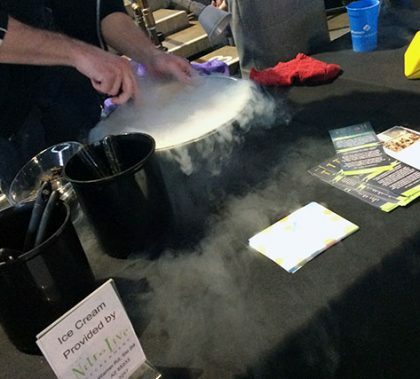 From liquid nitrogen-made ice cream to 3D printing and a souped-up go-kart, Strategic Educational Alliance’s recent STEM Innovation Spotlight seemed to have the secret formula for fun — and for helping educators connect with each other and with STEM-friendly organizations. Even though it was competing in Division I for the first time, the GCU Dance team placed fourth in Jazz Dance last weekend at the College Cheerleading and Dance Team National Championship in Orlando, Fla. And while the Cheer team did not make the finals, it showed a lot of grit by performing after one of the cheerleaders was injured and had to be taken to a hospital. 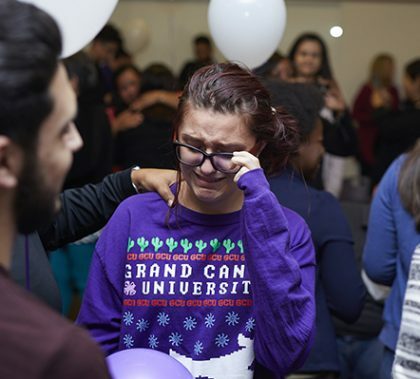 The tears flowed Tuesday as 22 students from high schools in Phoenix and Glendale received the surprise of a lifetime when GCU awarded them with full-tuition scholarships as part of the Students Inspiring Students program. 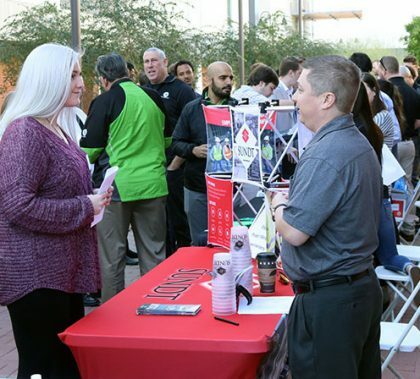 Here are two stories about perseverance in the face of obstacles. If you’ve ever even glanced at social media, you can relate to Dr. Deb Wade’s Mental Health Vitamin this week. She writes about the danger of comparing your life to what others are doing. It’s so important to increase your immunity to disease during the cold and flu season. In this week’s Fitness Facts, Connie Colbert explains the best ways to do it. 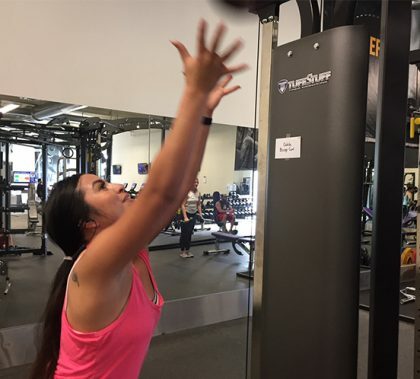 GCU’s 27th Avenue Fitness Center got a fancy spiff-up over the holidays in a renovation that expanded the women’s and men’s locker rooms and added some space and new equipment. 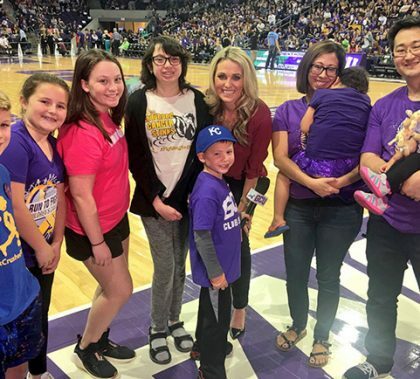 Six of the honorary race starters in the eight years of Run to Fight Children’s Cancer were on hand Saturday for Run to Fight Night at the Grand Canyon University men’s basketball game, but most striking was the presence of the first two, Grace Kostyk, now 12, and Olivia Baumgardner, 10. Not only have they resumed normal, activity-filled lives; they also are big-time advocates for other children fighting the disease. 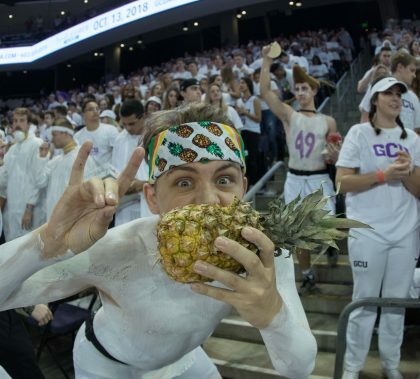 Photos by Slaven Gujic and Travis Neely GCU News Bureau On Whiteout Night before a record crowd of 7,521 at Grand Canyon University Arena, the men’s basketball team lost to New Mexico State 70-59 Thursday night.